After three months of waiting, I (Matt) got the results of my test. I passed! As is usually the case for me, I did pretty well on the parts I thought I didn’t do well on, and not as good on a few parts I was pretty confident on. I thought they would love my essay on the transcendent hope that influences every part of society. They just thought it was okay. But I still passed and the certificate should be useful in the days to come. Johanna finished her intense month of language learning. I doubt she’d want me to say so, but I’m writing, so I will. I was so proud of her. She had to take an entrance test, and she tested into the highest level (C2), but decided she would feel more comfortable at the second highest level (C1). Most mornings Johanna left to catch the bus at 7 or 8 and didn’t get home until 8 or 9 in the evening. She studied hard and I could see clear progress in her ability to communicate as the weeks went on. Even though the weeks were full, the Lord gave her the grace to endure. He was also kind to give her several evangelistic opportunities at school, including a Roman Catholic priest from Brazil! Thank you for praying. We wouldn’t have made the progress we did if the Lord hadn’t been pleased to hear your prayers on our behalf. We will be life-long learners of the Italian language, but we are thankful for the progress we’ve been able to make in this short time here. Sometimes we are quick to note every mistake we make and are slow to think about how many more mistakes we made a year ago. Recalling the progress we’ve made is an opportunity for gratitude. What follows is a random list of facts about Genova. The list is pretty basic and lacks the eloquence of Dickens’ reflection. Most of it you’d find pretty quick with a google search. The rest is stuff we’ve picked up the handful of times we’ve visited. A real understanding of the city will only come from living there, but we hope this list can help you get to know our future home. Genova is called Genoa in English. It’s confusing. While speaking English I often say, ‘Geneva,’ which doesn’t mean Genova and isn’t in Italy. Like I mentioned in our newsletter, there are 600,000 people and then 850,000 in the larger metropolitan city area. If you include the entirety of the Genova Metropolitan Area, there are over 1.5 million people. 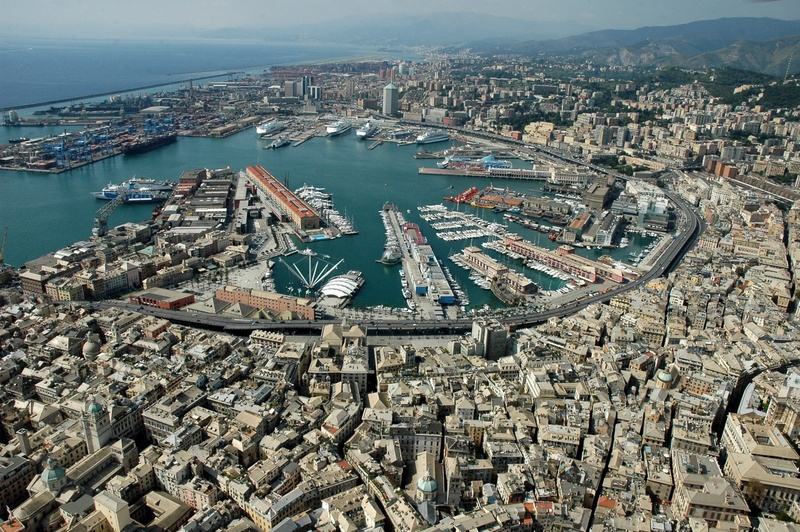 Genova is the 6th largest city in Italy and is Italy’s largest seaport. Genova is 2 hours from Nice, France and 4 hours from Geneva, Switzerland. Genova is known for its Focaccia (a type of flat bread) and pesto sauce (basil, pine nuts, grated parmesan, garlic and olive oil), which you usually eat on pasta, but is also incredible on pizza. Christopher Columbus was born there. Some of the city is sea level, while other parts are elevated as they move up the mountains. To get around from one level to another there are cable cars, elevators, and of course, lots of stairs. The historical district is one of the largest in Europe and is filled with caruggi, tight labyrinth like alley ways much too narrow for a car to pass. Tall buildings tower over the narrow ways giving the whole thing a very medieval feel. Genova, like Jupiter, Florida, has a light house called la Lanterna (the lantern). Genova, like almost every other place in Italy, has its own dialect. We don’t know much about it yet, but have read that the older generations speak it while the younger ones only understand it. For example Genova (Italian) is Zêna in Genovese. In the coldest months: December, January and February, the average temperature is 12 °C (54 °F) during the day and 6 °C (43 °F) at night. In the warmest months – July and August – the average temperature is 27.5 °C (82 °F) during the day and 21 °C (70 °F) at night (this is right from Wikipedia). Genova, like the rest of Italy, is in the midst of economic crisis. Young people have a difficult time finding jobs and so they are forced to seek work in other countries. The average age in Genova is 47 which is 5 years older than the average in Italy. There are several small towns surrounding Genova. Some are tucked away in the mountains as you move away from the coast. Others are found along the coast in between breaks in the foothills. It seems that many of these towns function somewhat autonomously with their own city center. Our hearts can’t help but wonder if Christ might also build a church in each of these small communities. The University of Genova was founded in 1481, and has about 40,000 students. Matt is considering taking courses there as a way to work on his Italian and to meet other people. 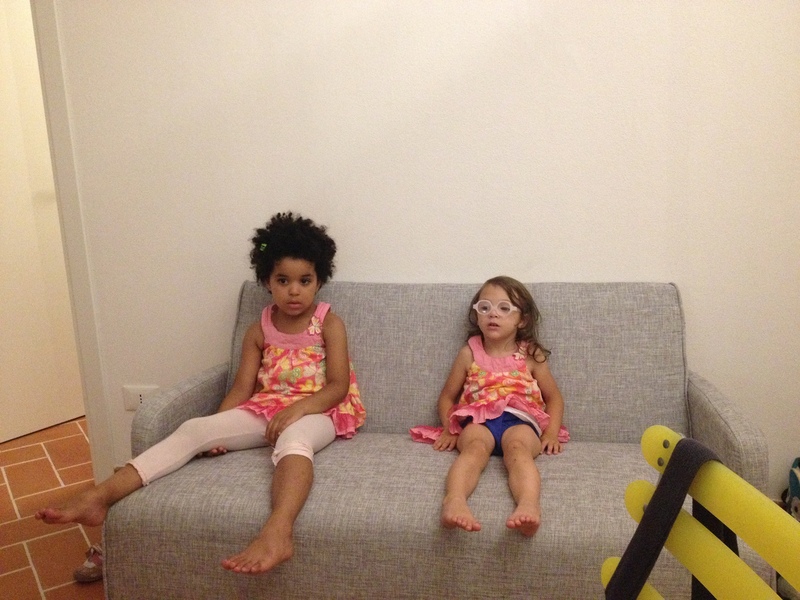 I (Johanna) love watching House Hunters International. In fact, even Matt has to admit to getting sucked in every now and again. We are always intrigued when we see random families pick up and move to another country, each family with their own particular timing, place, and reason for going. We love to see a glimpse of other places, to see different home sizes, food, culture. We always roll our eyes when we hear Americans say, “This room is as big as my closet back home.” It’s fun to see the update months later as they have their new place decorated and have clearly begun to make a home. This past week, we found ourselves living (for the second time) an episode of House Hunters International. Unintentionally picking the hottest week of the year, according to all the locals, we hauled our girls up hills and down alleys, through crowded city streets and past thousands of apartments where clean laundry waved cheerfully from every balcony and every now and then a friendly face greeted us from a window. Armed with Gatorade and Barbies, we saw on average four apartments a day. The good, the bad, and the “this wouldn’t work in a million years.” The funny thing was, we gave every apartment a chance. “Oh, so we would just have to replace all the windows, repaint and generally restructure the apartment? Oh, and it’s only 300 years old? I guess it’s a possibility….” We talked ourselves in and out of each apartment, sometimes back in, and then usually back out. But in the meantime, we learned a ton of valuable information about this beautiful city we hope to call home. Genova (Genoa in English) is a labyrinth. There is no other way to explain it. When you come into the city, you are struck by its density. But it’s only as you make your way through the city streets that you realize how incredible it really is. Because the city is built from the sea up into the hills it is filled with steep streets (trust me, you realize how steep after a week). The neat thing is that the city also has built into it an elaborate series of staircases, elevators, and lifts that can take you from one part of the city to another in a relatively short time. We explored, wandered, and marveled at how easy it is to navigate the city. The week was very useful as we evaluated what we are looking for in a new apartment. From a very practical standpoint, we are hoping for two bathrooms to help us take care of guests (those of you who have stayed with us probably agree wholeheartedly with this one…). We want to be in a zone where other families live. We want to be in a relatively active zone where we could potentially do everything on foot without having to drive everywhere. The idea is that so many people in such a close proximity would serve as an extra push for evangelism. Other than that, we are pretty flexible. Oh, actually, after seeing a few apartments we also realized we do not want to renovate an ancient apartment in ruins. As you can see, with these general guidelines, we found lots of possibilities. In fact, too many. Sometimes we preferred a location. Sometimes we preferred an apartment. The girls loved anything with empty rooms to dance and sing in. They weren’t much help in the whole process, but they brought a lot of joy to various real estate agents. We are excited about the future. Every new season of life offers new opportunities for growth in Christ-likeness. Pray that we will continue to love the Lord our God with all our heart, soul, mind, and strength, and to love our neighbor as ourselves. Whoever that neighbor might be. The girls in ‘screen saver-mode’ after a day of searching for an apartment. Thanks to everyone who prayed for my big test a few weeks ago. In only three short months I’ll have the official results. Yes, three. All the same, I wanted to give you my unofficially subjective perspective on how it went. Results aside, the test was a great motivator to push me to study and so I can safely say that it served its purpose. The test had 5 parts: Listening comprehension, grammatical analysis, reading comprehension, written communication, and spoken communication. Those aren’t the real titles of the parts, but you get the idea. The test is certainly one way to indicate progress, which is why I took it, but there is a certain ‘game-like factor’ to the whole endeavor. There is a lot of filling in of little bubbles, making sure you transfer your answers from the booklet where you work to the answer booklet with the bubbles. Forget to do this and even with all the correct answers in the wrong booklet, you fail. Time management is also a part of the strategy. Each section has a set amount of time and even if you finish one section early you can’t go back to a previous section. Listening comprehension was first. With the practice tests this was one of the sections I found least difficult. In the official test, however, it seemed like the hardest part. The content of the listening parts is really the ‘luck of the draw’. You might get a subject that you have a ton of context for or you might get something you know little to nothing about. I don’t remember the content of all three listening selections, but one was about motorcycle racing. As a guy who has never ridden a motorcycle (and isn’t sad about that reality) and who has never seen a race, let’s just say I didn’t have a whole lot of previous experience to draw from. The grammatical analysis went pretty well. It’s about as fun as it sounds. Actually, the official name is something like ‘communication’ something or other, because grammatical analysis is so unpalatable. My tutor and I drilled this section a million times. You have to do things like fill in blanks with conjunctions and prepositions and conjugate verbs. It went okay. The reading comprehension is the section where a nerdy love of books comes in handy. It’s simple. You read two selections then answer questions. Then you read various sentences from a third selection, which are jumbled and you have to put them in the right order. This was the section that seemed to go the best. The writing section consists of a very brief essay and a formal letter. I wrote my little essay on the elements that contribute to the well-being of a country. I talked about the importance of having a worldview with a hope at the center that influences every other part of life. I didn’t launch into the Gospel, but obviously that was what I had in mind. Then I wrote a pretend letter to a committee explaining that I wanted to help with some sort of community event. The oral part is made up of two brief sections that they record and mail off to the university to evaluate. The first section is a dialogue that lasts about 2 minutes. I played the part of a guy who had purchased a plane ticket from a travel agency, but couldn’t get on the plane because it was overbooked. I had to have a conversation with the ‘travel agent’ asking for a refund. It went pretty well overall. I pulled one thing that was super American and asked for a full refund and a discount on another ticket for the inconvenience. Then I finished with a 3 minute monologue on what I thought about the common tendency to constantly take selfies and put them on the internet. I didn’t choose the topic by the way. Here I tried to say way too much and kind of lost track of time. 3 minutes isn’t very long. I’ll be glad if I pass the exam, but if I don’t, I only have to redo the section(s) that I failed. It will be nice to have the certificate so that I can take classes at the university as a way to meet people and work on my Italian. The exam was a great motivator to study and I’m grateful to the Lord for the progress He let me make. But I’m far from done with learning Italian. Every day I realize I still have more to refine and more to learn. I’ll continue to meet with my tutor this summer as much as possible in the midst of a busy schedule. 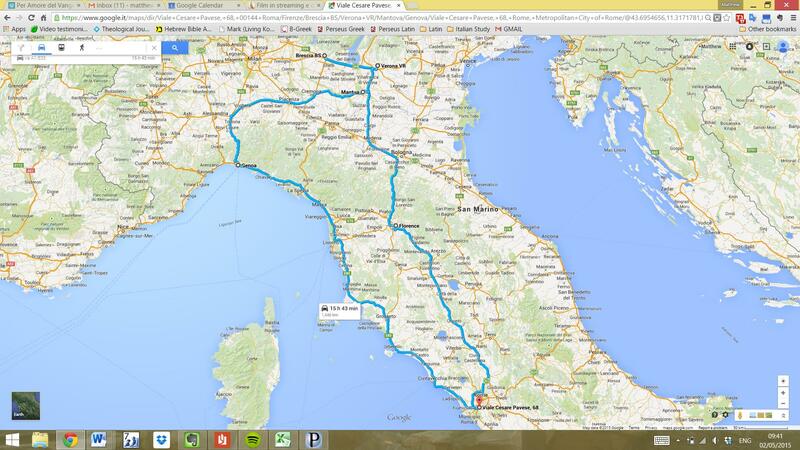 August we are headed to a university in another part of Italy where Johanna will take an intensive course for a month. I also hope to take a course or two if it all works out. So, as you think about us, keep praying for our Italian. 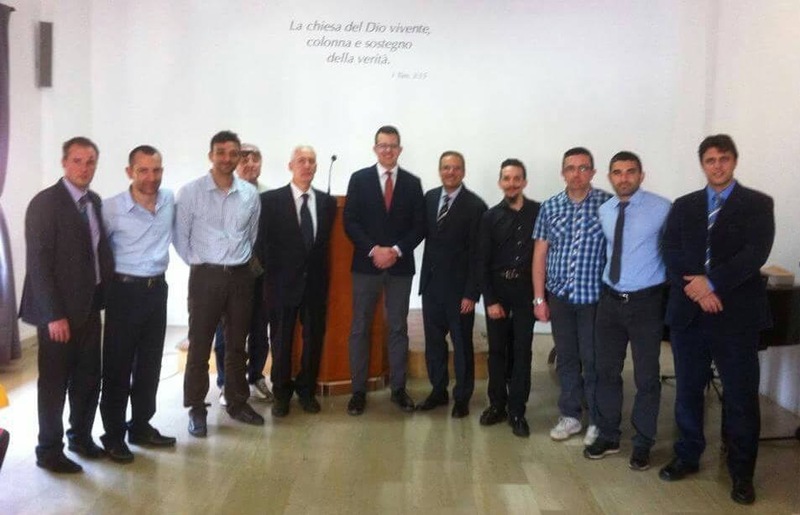 About a week ago I finished up four full days of teaching at the Italian Theological Academy in Sicily. I’ll share a few anecdotes below, but first I want to say thank you. The Lord was so kind to answer your prayers and give me strength that was so unmistakably from His hand. In the midst of sickness at home, a fire at the airport the night before I left, and missed flights for various reasons (3 in total), I made it safe and sound to Sicily. And although, when all was said and done, I laid down to sleep at 3:30 am the morning of my first day of teaching, the Lord gave me strength and kept me mentally alert. Most importantly God was gracious to make His Word clear so that the students could better understand the person of Christ and the person of the Holy Spirit. Before the class I had preached twice in Italian. So the prospect of teaching for several hours (something like 25) was intimidating to say the least. The help the Lord provided served as a great encouragement that He will continue to give me the grace I’ll need to minister more and more in Italian. That isn’t to say that there weren’t errors made or that it was just like it might have been in English, but maybe I could explain it this way: there were moments in which I really felt like ‘myself’ as a teacher; glimmers where the difficulty with the language faded into the background and gave way to the desire that my hearers grasped God’s Word. The time I spent with the students in class, chatting theology during the break, and hearing about their lives over meals was a joy. Each of the students was hungry to learn and had plenty of questions. One student consistently came up with insightful reflections and observant questions, often wondering things about the connection between two doctrines I’d never before considered. Due to the complicated nature of his questions (and my even more complicated and long-winded responses), I’d jokingly ask for questions from the class with the exception of that student. Another student serves as the only elder in his church in Northern Italy, while working a full time job. His sermon preparation happens in the early hours of the morning each day before he heads to work. He found out about the formal training the academy offers about two years ago and ever since he has been hooked. The director of the academy and I had talked about the possibility of giving the students a break Sunday morning and not having the early session before morning worship, but this dear brother, so hungry to learn, pleaded that we have it. My heart was refreshed by his tenacity to learn and his longing to get the Bible right. I was glad that we could have the session. Now it was of the greatest importance for us that He who was to be our Mediator be both true God and true man…Since our iniquities, like a cloud cast between us and him, had completely estranged us from the Kingdom of Heaven [cf. Isa. 59:2], no man, unless he belonged to God, could serve as the intermediary to restore peace. But who might reach to him? Any one of Adam’s children? No, like their father, all of them were terrified at the sight of God [Gen. 3:8]…The situation would surely have been hopeless had the very majesty of God not descended to us, since it was not in our power to ascend to Him (II.XII.1). We also talked about the practical nature of theology and that we must never accept the artificial distinction between theology and practice. We can’t very well live for Christ if we know not who He is. Also, given that Jehovah’s Witnesses are the second largest religion in Italy, it was important to equip the men with a robust understanding of the deity of Christ. Sadly, the doctrine of the Holy Spirit is considered to be the doctrine of Pentecostals and at times receives little attention from non-Pentecostal evangelicals. It is, as James Packer has said, “the Cinderella of the Christian doctrines.” So I was glad for the opportunity to deepen my understanding of the Holy Spirit. We spent a great deal of time talking about the Holy Spirit’s role in the transition from the Old Covenant to the New Covenant. This helped prepare us to understand the book of Acts, the miraculous spiritual gifts (e.g. tongues) and the baptism in the Holy Spirit. Again I felt the material was especially pertinent as there are many Pentecostals in Italy. I sat on the plane headed back, ready to see my family, with a heart grateful to have played some small part in encouraging these men who will in turn have the opportunity to encourage others. If you have a minute, please pray for us! As I mentioned in our recent prayer update, we are in the throes of researching Italy’s cities, trying to determine a place where we might plant a church. Part of this research includes visiting cities that seem somewhat promising. There are no plans to put fleeces out and no hopes of a heavenly cloud formation that reads ‘come to this city.’ We want to use wisdom to discern, along with the help of our elders and other counselors, the place that seems to be the best opportunity to be faithful to the Great Commission. Before I tell you where we went, a quick disclaimer is in order. Our visiting a particular city does not mean that we will go there. Obviously we can’t visit every city in Italy, so there are reasons behind the ones that we visit. But often, the only way to know that it isn’t a good ‘fit’ is to talk to the people in the city, see for yourself what kind of gospel ministry is already happening, and really just experience the city. All that to say, don’t get your heart set on a particular place just yet. Below I’ll give you a taste of what we saw on our 5 day trip in Northern Italy. I thought you might enjoy hearing about how we are processing each opportunity. But more than that, I thought a bit of information might help you in your efforts to intercede on our behalf. On the way up we stayed the night in Florence. At the beginning of our research we thought Florence or a city near Florence might be where we’d end up. Stopping there for the night gave us the opportunity to spend part of the morning seeing a few neighborhoods. There is already a great church there that is doing some really exciting work. Our hope is to spend at least one Lord’s Day with that church this summer. As of now, we’ve decided to put the Florence idea on hold, while we pursue other opportunities. The next morning we headed up to Brescia. Brescia made it on the list of cities to consider, like the rest of the places, because it was pretty big and didn’t seem like there was much happening on the church front. The province is the 6th largest in Italy (1,262,295 people) and the city itself has nearly 200,000 people. The cost of living is low and there is a beautiful historic center that isn’t super touristy. There might be a few faithful works in and around the city, but so far we haven’t confirmed anything. We were able to have a few longer conversations with locals and here are a few things we learned (according to these two sources): the people are closed (religiously and in general); the city is very laid back and a great place to live; if there are protestant communities they aren’t very well known; there are a lot of foreigners that live in Brescia (many from Africa and Asia). After a night and a morning in Brescia we did the hour drive to Verona. Verona’s beauty and sites make it a popular tourist stop. We weren’t there as tourists but we did ([un]fortunately depending on who you ask) get to peek at Juliette’s balcony one night after dinner. We knew/confirmed that there is one church in the city center and several small churches about 30 minutes outside the city. The city is the 12th largest in Italy (253,409), but the city center is rather compact. One person explained to us that the city has a small town feel and that it is really common to bump into someone you know downtown. The city and the areas that surround it certainly still have needs even with several missionaries already there, but the number of workers already there is definitely something we will take into consideration. Sunday morning we headed to Mantova to worship with the people of Chiesa Sola Grazia. 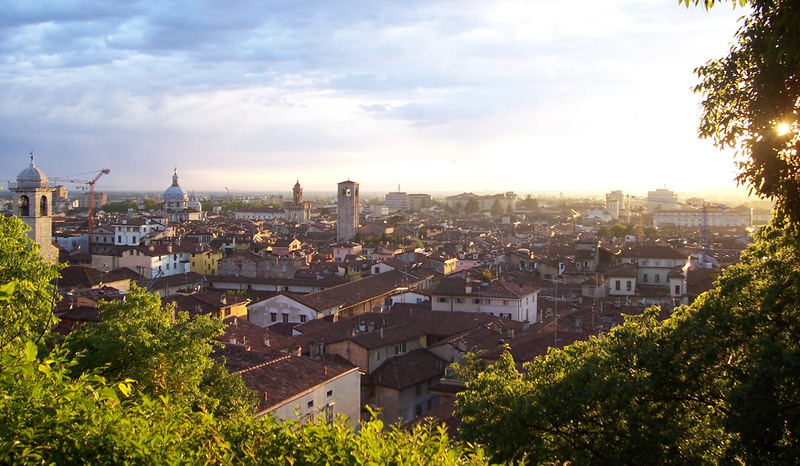 The city where the church is located is only about an hour from both Verona and Brescia. Ending up in either of those cities would mean we could have some sort of relationship with Sola Grazia. It was a sweet Lord’s Day and our hearts were refreshed. We were glad to sing some familiar songs for the first time in Italian. We had already known one of the pastors, Andrea Artioli, and had the opportunity to get to know their new missionary/pastor Alan Johnston (not Matt’s cousin). Before coming to Italy about a year ago Alan was a pastor in Ireland for nearly 20 years. Getting to pick their brains on our research was a great grace, and their thoughts really helped prepare our perspective for our trip to Genova. We wrapped up lunch at around 5 (not abnormal in Italy), still undecided if we wanted to head to Genova or head back to Rome. It was the only city that we hadn’t visited on our current list, so we decided to be crazy and go for it. After lots of long stops, we arrived in the city at around 10:30p.m. The city which is tucked in between the mountains and the sea is striking. Genova as a city has a character like we’ve only ever encountered in Rome. It is the 6th largest city in Italy (582,320) and the metropolitan area has nearly 900,000 people. The fact that we accidentally had TomTom navigate us to the city center instead of our hotel may have influenced our opinion, as we drove across the main piazza it was truly magical…even if we will probably get a ticket. The next morning was rainy so Matt headed out alone to explore a little, and was thrilled to have the opportunity to chat for about 30 minutes with a guy about his age. It began as conversation about the city and turned into a conversation about absolute truth and absolute authorities (the Bible). If I had to list our level of interest based on these three cities, it would look like this: (1) Genova, (2) Brescia, (3) Verona. We hold all of this with open hands having already seen our hearts be excited about a place, only to learn as things developed that it probably wasn’t the best. We are encouraged by the progress we are making in the search, and we trust the Lord will continue to make our next steps clear. Thanks for praying. 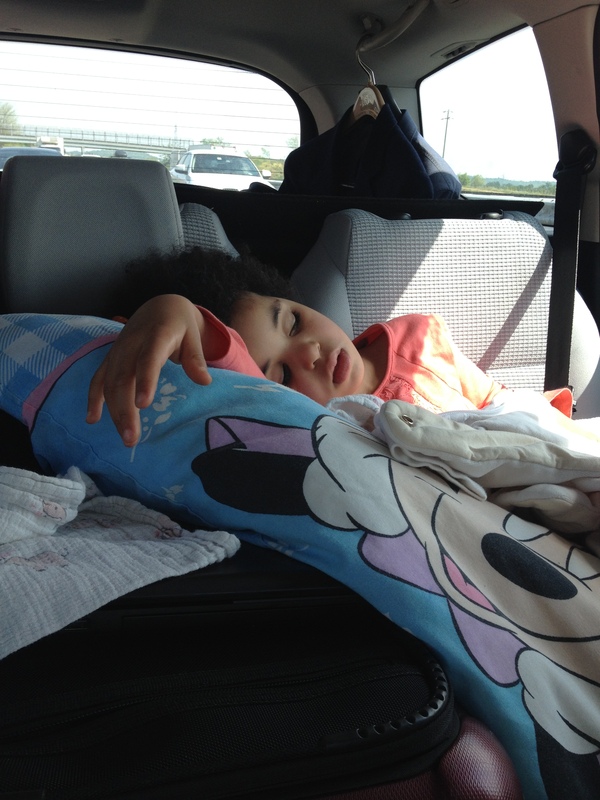 Alice on the way home. We finished our Saturday compelled to thank the Father for the day He’d provided. We spent the morning with friends who live on the top floor of our apartment building. Having consumed the obligatory espresso (me) and cappuccino (Johanna) we took a passegiata (a stroll); a very Italian activity. As we meandered along, making our way to the park, Alessandro kept steering the conversation back to the Catholic Church and true faith. Now, first impressions aren’t everything. People can feign interest in the things of God, the same way that saving faith can be feigned (Jn. 2:24; Acts 8:13). But, the few times we have been together he has shown a real curiosity about the truth. Over dinner at our place he commented that he found it absurd that priests tried to tell people how to conduct themselves in marriage or as parents since they have no experience in either area. When I told him that the Bible knows nothing of a priest in the Roman Catholic sense, and read him some of the elder qualifications from 1 Timothy 3, he was floored. I emphasized the fact that an elder must be, “the husband of one wife,” and “one who manages his own household well, keeping his children under control with all dignity” (1 Tim. 3:2, 4). Adding to the Bible is somewhat of the Catholic Church’s specialty. It isn’t as if Roman Catholic doctrine came into existence all together at one moment in history. Although some Catholics strain to show that their doctrines are ancient, the fact remains that doctrines like Papal Infallibility and the Assumption of Mary were only made official in 1870 and 1950 respectively. Further, there is nothing that would keep the Catholic Church from continuing to create new doctrine today. Purgatory itself is an important piece of the Roman Catholic doctrinal system. As long as you believe in an unbiblical view of justification: that a person can be justified but not totally cleansed, and an unbiblical view of sin: that there is a distinction between mortal and venial sins and that there are temporal punishments which we must do something about ourselves, purgatory makes sense. To believe in purgatory (and all the connected doctrines) is to reject the Bible as absolute authority, because the only way to reach these conclusions is to believe something that isn’t in the Bible and that is contrary to its teaching. I think Agur can help us here. This often underappreciated sage is quoted as saying, “Do not add to His words Lest He reprove you, and you be proved a liar” (Prov. 30:6). The statement, significant on its own, is all the more powerful in context. Agur is reflecting on the two most essential elements of theology: who we are (30:2-4), and who God is (30:5-6). A real submission to the authority of the Word of God is the truest expression of a high and glorious view of God. However, there is nothing more arrogant and God belittling than adding to God’s Word. The way we handle God’s Word tells us what we really think about God, and what we really think about ourselves. With language no one would accuse as beating around the bush, Argur provides this self-assessment: “Surely I am more stupid than any man, And I do not have the understanding of a man. Neither have I learned wisdom, Nor do I have the knowledge of the Holy One.” (30:2-3). Agur is a brute on his best day. This isn’t feigned humility or self-pity, but rather a refreshingly honest articulation of biblical anthropology. What’s he getting at? We are utterly inadequate to account for life on our own or to understand our existence in a meaningful way by ourselves. It’s no coincidence that a life lived in attempted autonomy ultimately yields only confusion, frustration, pain, sadness and never clarity. How does Agur arrive at vv. 2-3? Don’t miss verse 4. Our ability to answer the questions in verse 4, determines our viability as autonomous creatures in God’s universe. A high view of ourselves is only legitimate or realistic if we can answer ‘me’ to these questions: “Who has ascended into heaven and descended? Who has gathered the wind in His fists? Who has wrapped the waters in His garment? Who has established all the ends of the earth? What is His name or His son’s name? Surely you know!” (30:4). Our self-conception is appropriately dwarfed any time we cross-examine out hearts with the questions from verse 4. Only by owning verses 2-4 do we come to point where we can understand that God and His Word are what we aren’t. The dead end of our attempts at independence leaves us needy for God’s help. “Every word of God is tested; He is a shield to those who take refuge in Him” (v. 5). God’s Word is free from even the slightest imperfection (cf. Psalm 12:6). Flaws are the only things that can be added to a word that is flawless. Acknowledging the surety of His Word leads to a trust in the security only His character can provide. To summarize: Our willingness to embrace additions to the Word of God is connected to our view of ourselves and of God. Belief in Purgatory necessitates belief in a distorted view of God and of man, and so a distorted Gospel. Sadly people like my neighbor Alessandro are told by religious authorities, who supposedly speak for God, that Purgatory is a real place. This results in someone who thinks they believe what God teaches, but in reality guarantees a distorted view of mankind, God and the only true connection between God and man: the Gospel. James White, The Roman Catholic Controversy, 182.